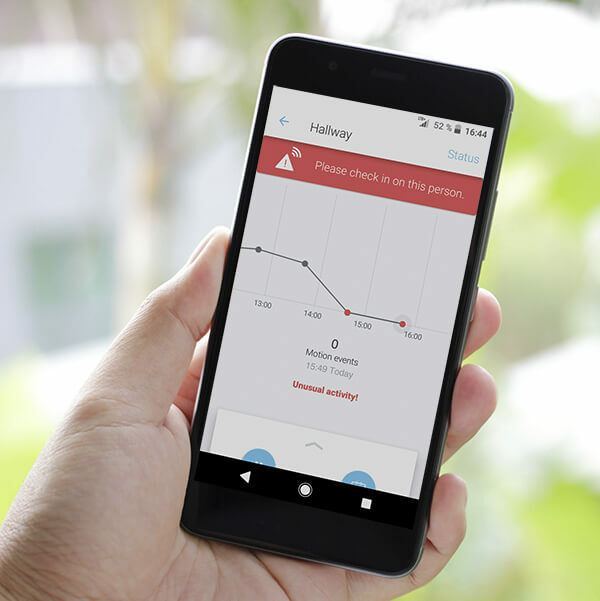 AbiBird will notify you on your smartphone if your older loved one may have had a fall. 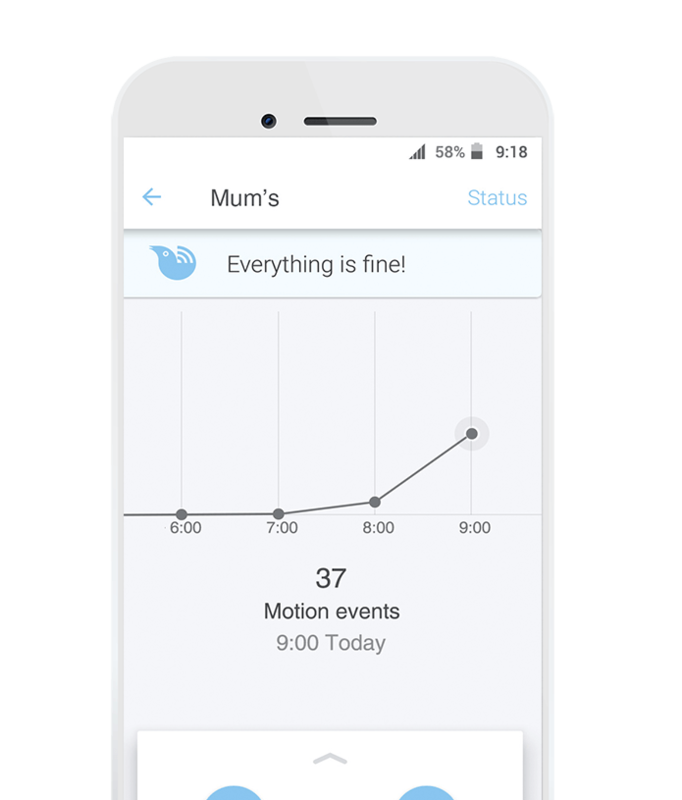 AbiBird lets you know if Mum or Dad may have had a fall. It's a new way for them to retain their independence. 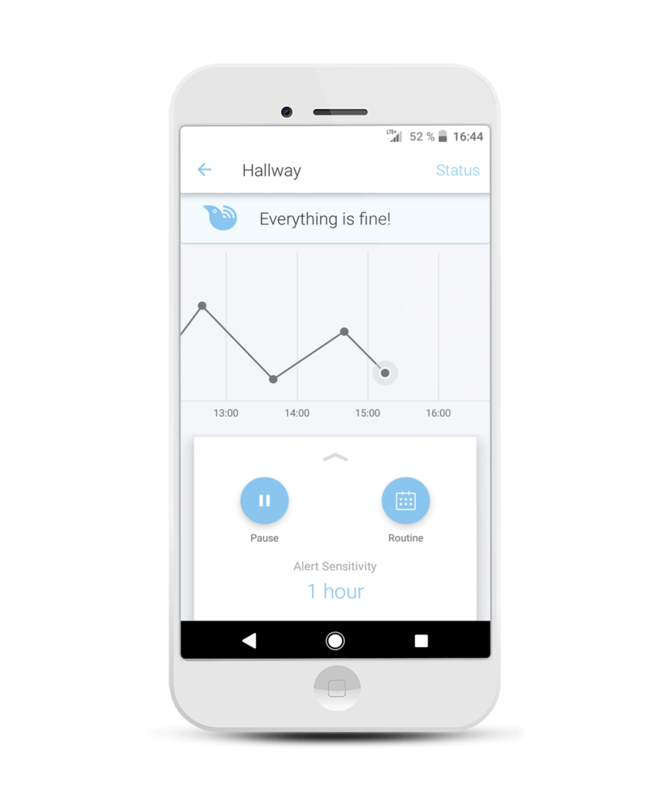 AbiBird runs on 4 x AA batteries for up to 1 year. It let’s you know when the batteries need changing. 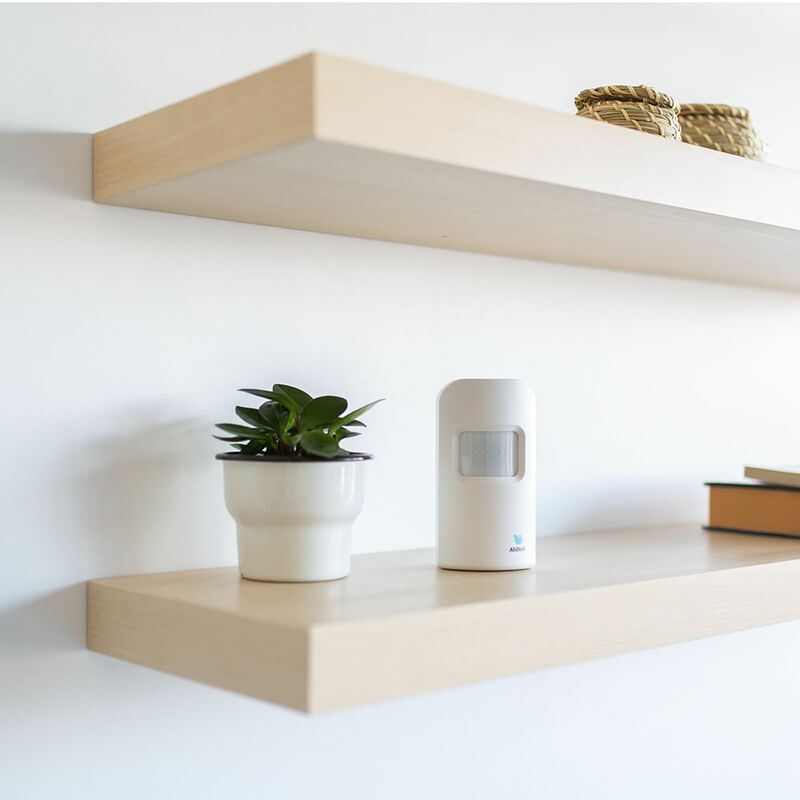 AbiBird uses infrared sensors to detect activity. It’s independence without compromising privacy. AbiBird works where there’s 4G coverage. This includes all cities and most regional and rural areas. AbiBird sits on the shelf. Mum and Dad don’t need to remember it’s there. If Mum or Dad are in distress, they can tap AbiBird and it will send an immediate Call For Help to your smartphone. The AbiBird app can be shared with any number of family members. So, rest easy and share the peace of mind with your family. Take AbiBird for a month. Send it back when you’re done. One AbiBird is $20 per month. A second is $10 per month. No other charges. Easy. One AbiBird for the bedroom and bathroom. A second for the kitchen, dining, living room. Falls are common in these areas. Abibird works wherever there is 4G mobile coverage. This includes all cities and most regional and rural areas. 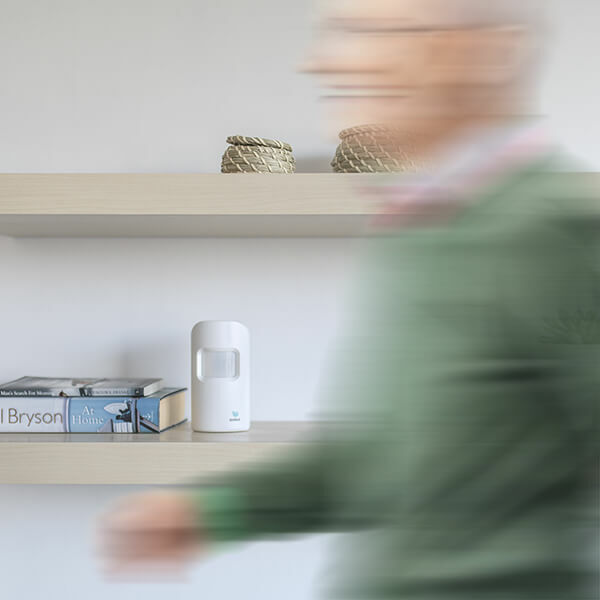 You can place the AbiBird activity sensor unobtrusively throughout the house. Is Mum up and about? Slippery floors are a hazard. The AbiBird app on your smartphone displays the activity in Mum or Dad’s home as hourly dots on a line chart. The line moves up and down each hour indicating how active they are. A quick glance at the line chart will help determine the state of play in Dad’s home. Is Dad up and about? If no activity and a straight line chart – why? 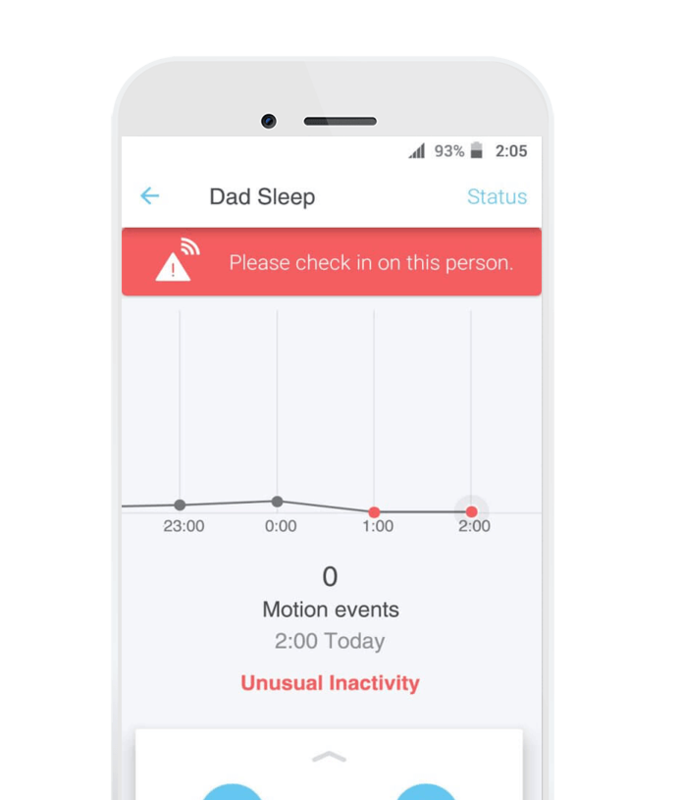 If activity stops or differs from Dad’s routine, AbiBird sends an alert. 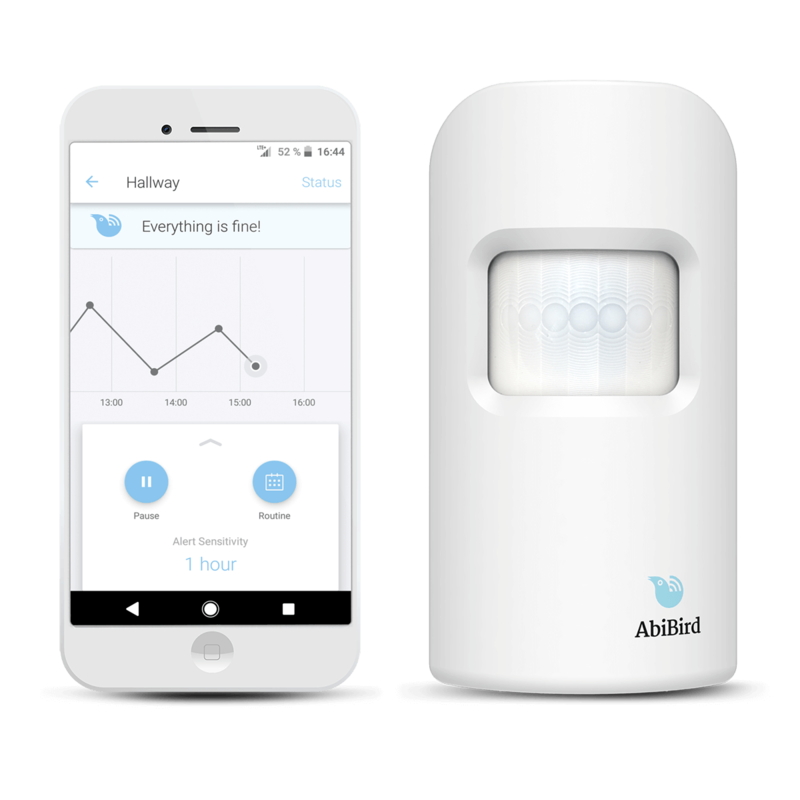 Mum can also tap the AbiBird sensor if she needs help. This will send an immediate alert to your smartphone. 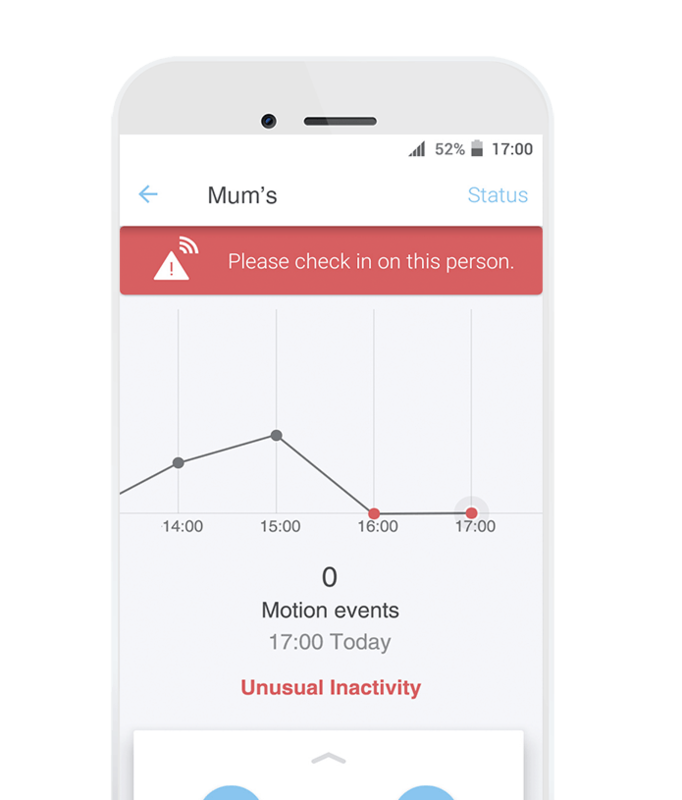 Intuitive line chart gives an instant, hour-by-hour overview of the activity in Mum or Dad's place. The app can be shared with family members. The app has three screen responses to let you know what's happening at Dad's place. Ready for peace of mind?